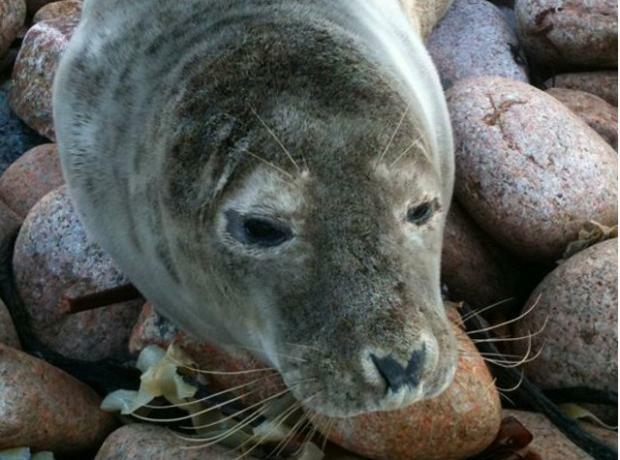 Every Autumn the shores of the Bailiwick see Grey Seal pups being born and the GSPCA are issuing advice today on what to do especially with the rough weather that is due. If anyone see's a pup with or without a mum we really do appreciate a call so that we are aware of its location and condition but here is some advice. Last night we had yet another casualty from the Torrey Canyon. We first received the call on Sunday but unable to get to contain the bird until last night the poor Great Crested Grebe has had to endure several nights covered in oil. Yesterday Animal Collection Officer Geoff George managed to catch Adele as we’ve now named her and she will receive a number of bathes and hopefully some luck to survive before we can look to release her. These birds are winter visitors to Guernsey and can be found in small numbers around our coast this time of year. Every year the GSPCA rescue and rehabilitate sick and injured wildlife from discarded rubbish and litter. This morning we had an adult Gannet brought in tangled in fishing line. Found by kind States workers in Petit Bot the bird would have certainly died if they hadn’t rescued it. Currently being freed from its bonds this poor bird was tangled from head to toe. Gary as he’s been named once free will be checked over fed and we will ensure he is tip top before release and we are hopeful for a good recovery. Tomorrow is Shrove Tuesday and many of us will shopping for our ingredients today. 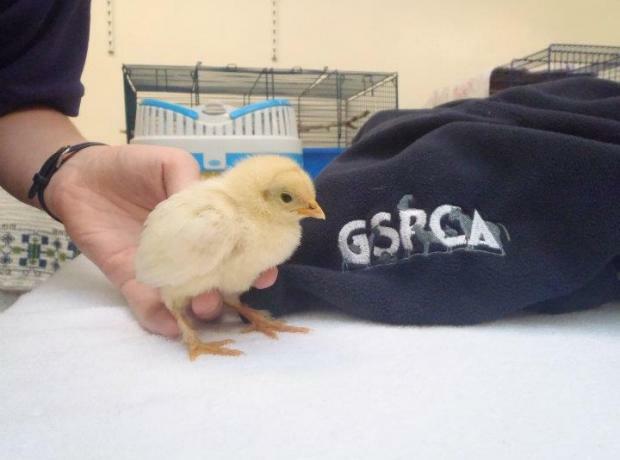 The GSPCA would like to remind everyone to think of the produce that you are going to use and please look to buy Animal Welfare friendly products such as free range eggs. The Society was founded on Valentines Day 1873 but complete records did not commence until 1919. The first home for stray dogs and cats was at 11 St John Street, St Peter Port. 5/- (five shillings) a week was paid to the tenant for housing the kennels and looking after the animals. On the 14th February 1873 the GSPCA was born. Next week the GSPCA will be over 139 years old and been helping care for the animals both on land and sea in Guernsey for nearly 6 generations. On Monday we will be posting a number of pictures as well as a write up on the history of our work and the Shelter. We will also be including a little of the plans we have for the future. 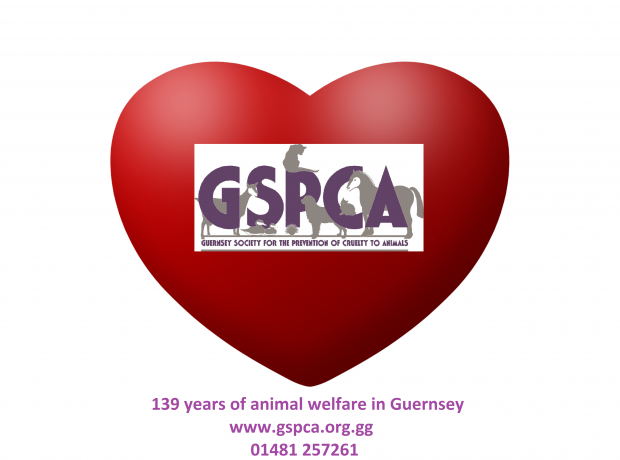 So this Valentines Day if you have a quiet night in planned why not read up on the wonderful animal welfare work and love that the GSPCA has given over the years. ‘Micro’ or ‘Mini’ Pigs – their suitability as pets. The GSPCA is becoming increasingly concerned about the number of ‘pet’ pigs that are being brought into Guernsey. These so called ‘Micro’ or ‘Mini’ pigs are often advertised as cute little pets that are easy to look after. Sadly however they have very specific welfare needs and as such their suitability as household pets must come into question. Celebrities such as David Beckham, Paris Hilton and Katie Price have all received these animals as presents and they have now become a much desired fashion accessory.